We talked for a while about making worshipers in our homes, and Dads: I put you under the gun a bit there (for which I do not apologize), but I also realize I may not have given you the strategies that you may find helpful in your desire to cultivate a culture of worship in your home. To that end, I pray this equips you, both mothers and fathers, those doing it together and those doing it alone. If you are anything like us, you have experienced those moments where you say to yourself, “why in the world am I doing this?…These kids don’t care…This is a useless exercise…” At least I hope I am not alone in this! 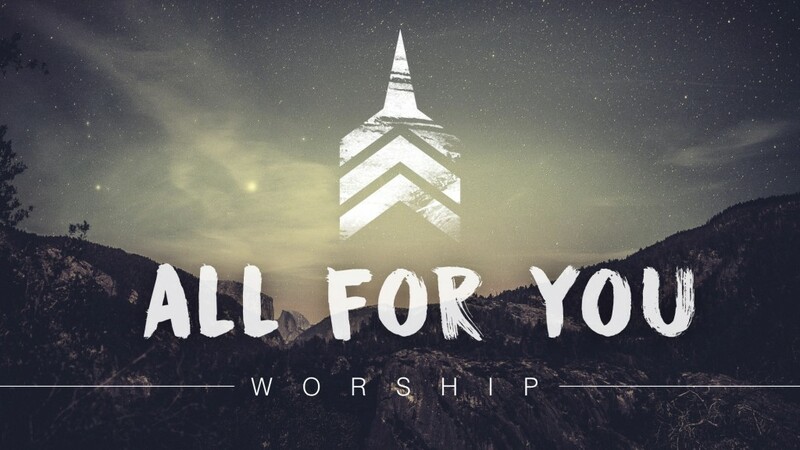 Listen: Jesus’ greatest desire for your home is the same as yours, namely to have a house full of worshipers. But if you go at it on your own strength, you will continue to fail. As we heard in the Great Commission, Jesus is with you always, especially when you are setting out to do what He has called you to do: to make disciples! Before you and your spouse come up with a plan, hit your knees together and ask the Lord to go to work in your home. And if you are doing this alone, if you are a single mom or a single dad, grab someone in your small group or ministry team and ask them to walk through this with you. None of us can do this alone. Pray for wisdom, pray for insight, pray for your kids, and pray that the Lord will show you what your family needs to hear. A TIME After you’ve prayed, choose a time together. Some families think that the mornings are best, around the breakfast table before work and school begins. Some say dinner time. Perhaps you’ve got a calendar full of things and dinner does not work, so what about just before bed? For our family that is the best for us, only because we know it is going to be our most consistent time. Choose what works! A PLACE We have a place set aside for everything else: we eat dinner in the dining room, we sleep on the bed, we work on the desk, we talk in the living room…You will find that having one place will help create the habit. Early on we had little rugs in the shape of basketballs and baseballs and every child would pick one to sit on. Now we read in the living room. After everyone brushes their teeth, they head straight back downstairs to the living room. Because that is what we do. It is a part of the habit. A PLAN Parents, you will not help yourself one bit if you do not have a plan! When do you feel most stuck in your personal devotions? I would bet dollars to (Ridge) Donuts that it is when you do not have a plan of attack. The same is true for your family worship. Have a plan and execute it. Give it a week or so, and if it stinks, switch it up. I have linked below to some resources that our family has loved. Perhaps they will help you. 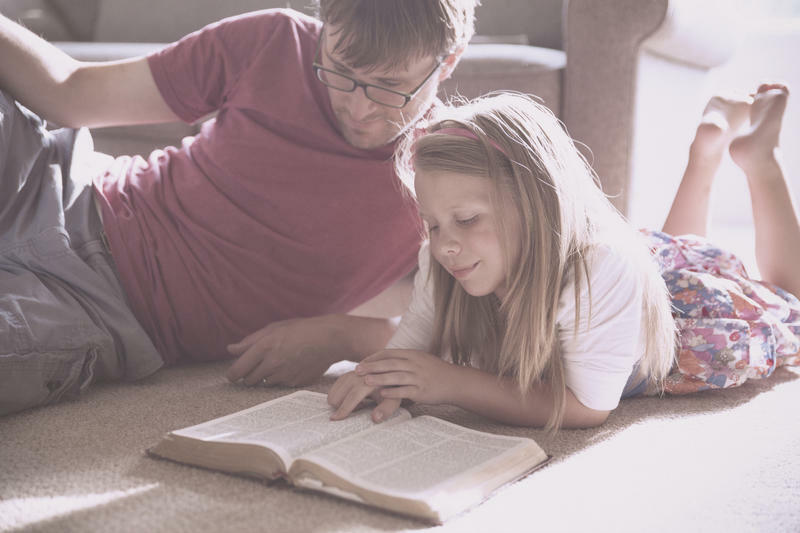 Now is not the time for you to teach the children about the latest breakthrough in your study of the atonement, or to breakdown the levels of worship that happened in the tabernacle. Have one focus for the evening, ask a couple of questions, sing a song if you like, pray, and call it a night. You’ve got their whole lives to pour into them: 10 minutes in 5 nights is worth far more than 30 minutes one night of the week. You should not feel pressured into a long night. Length is not the point: hitting a target in the heart is. First, your discipline in the Word and in prayer personally is unmatched in importance. You want to minister from the overflow, not from the scraps you had last week for a snack. Second, this needs to be a consistent discipline if it is to be effective in making disciples in your home. If you are married, keep each other accountable: don’t let the other one slack. Just because the fathers are the driving force behind this does not mean they need to be Superman. Lift each other up and encourage one another when the other is weak and tired. If you know a single brother or sister who is raising a child on their own in the faith, take it upon yourself to encourage them and help them: they surely are not superman or superwoman and they need the community of Christ to support them! If you are are single or your spouse is not a believer, you are not superwoman or superman either! Lean into the community God has given you, seek advice, seek support, seek what God has given to you in the Church. You want your family to enjoy God together. If a conversation takes a silly turn, let it go that way. You’ve got a lot of years together ahead of you (Lord willing). If they were good listeners, bust out the ice cream (or have ice cream during Bible time once in a while!) The memories they take with this they will take with them forever, and they will tie their faith to them.